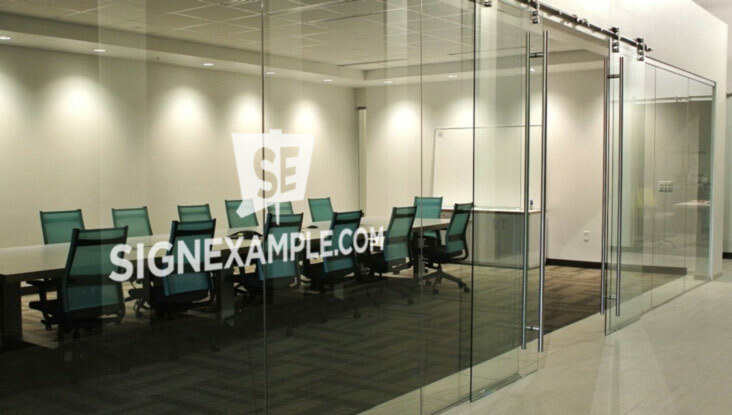 Frosted Vinyl Decals partially block vision and provide privacy for interior office windows and doors. Digital printing allows you to customize your graphics. Frosted Vinyl Decals are a great alternative to ordinary decal material. Frosted Vinyl Decals can be applied anywhere to partially block vision or enhance the appearance of windows or doors.